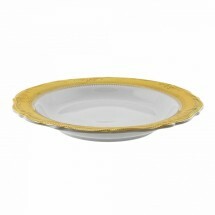 Create an atmosphere of absolute elegance and sophistication with the wide etched and gold banded design on the scallop rimmed Vanessa Gold dinnerware collection from Ten Strawberry Street. 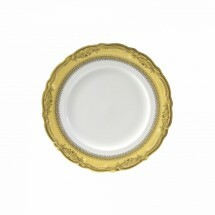 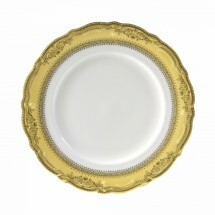 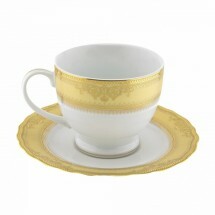 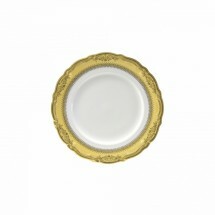 This smooth, sleek, shiny gold rimmed dinnerware has an elegance that can only be found at the finest table settings. 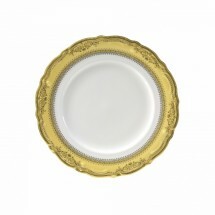 Purchase this fine porcelain dinnerware collection for formal dining at fine restaurants, five star hotels and other special occasions. 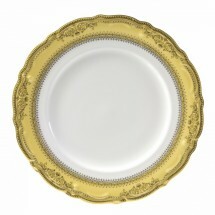 Your guests will be duly impressed by its breathtaking beauty.